TYLER, TX (KLTV) - Roy, 10, has a love for all things outdoors, but his true passion is his brothers. "My brother's so fun," said Matthew, 8. Aiyden, 5, said is in Kindergarten and would agree his brothers are the most important thing to him. Roy explained, "sometimes if you have a little brother, that's sometimes annoying, because everything you do, they want to do it too." Roy said he takes his role as big brother seriously, especially when the alternative could be separation. "We got separated in the beginning of when we went into CPS," said Roy. "They agreed that Aiyden could come over to our house and he stayed with us. If they weren't with me, I'd be bored." Boring is not how anyone would describe this trio of young men. Aiyden said he enjoys, "making slime, color, and do things that I like." Matthew said, "doing ninja and kick some bad ninjas!" Roy said he likes to help others. When asked why, he said, "because it makes my heart feel warm. I like to help out because people who need help and can't do it, then I can do that." When Roy grows up he said he wants to be a Nascar driver. His need for speed was born the first time he saw a race on TV. "I was watching it, my eyes just (grew)," said Roy. "For my birthday, I always wanted to go to a Nascar race, and I've been wanting to meet Dale Earnhardt Jr., but he retired so I can't do that now." Roy said he also dreams of a family who knows how to have fun. "I'm just asking for one or two kids that likes to play sports," said Roy. 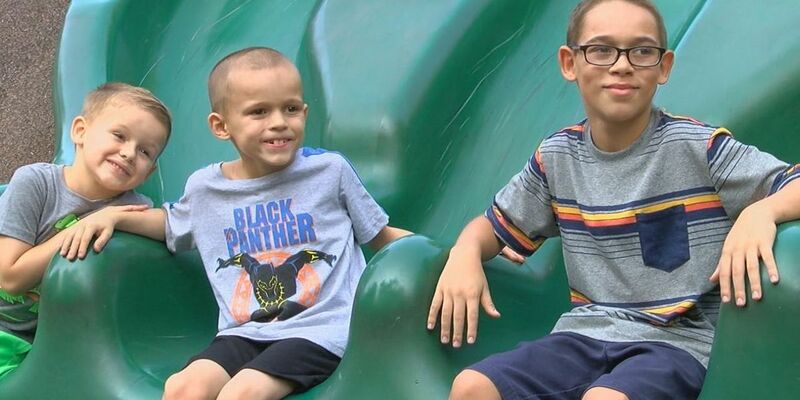 All three boys also hope to be able to have a relationship with their grandparents and foster parents no matter where they end up. They said family should stick together and that is their ultimate dream.